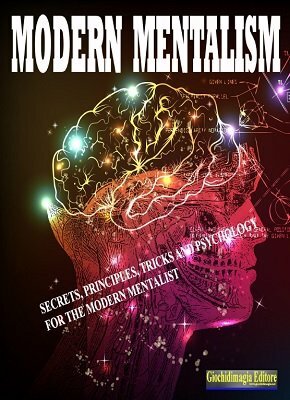 For the modern mentalist finally a complete treatise on the methods of mentalism that speaks to you. The ebook aims to practice, the way in which achieve the effects. In this ebook you can find the principles used in mentalism, forcing, multiple outputs, the choice of magic, the technique of step ahead of the viewer, the dual reality that the subliminal suggestions. You will learn the effects of the great mentalists, touch a person at a distance (3 methods), revealing the pin of a credit card or the phone of a friend and other information. You will know all of the tools used by mentalists and an incredible pre-order the deck of cards (SI Stebbins) pass then to the metal bending, spoons, keys and forks. You'll get cold reading scripts and hypnosis to be used immediately. You'll discover the art of pseudo hypnosis and finally to improvise a version of the Berglas Effect. If you are looking for something really practical that you talk about methods and get straight to the point Modern Mentalism is what's right for you. Bonus - unpublished effect, the mentalist comes on stage carrying a box he places on a table in spectators' view. Invite a spectator on the stage and ask him to think of something. The spectator opens the box on the coffee table the mentalist never touched and finds inside is inside the exact prediction of what he thought. 1st edition 2016, 123 pages. In the end, you have a poor value for your money with this ebook. For half the price, Corinda still reigns supreme as the timeless fundamentals book. Maybe someday someone will update it. Heck, someone could just annotate it in the margins with some modern methods and notations of things that are archaic. Heck, maybe I'll do that myself one day after I retire. But until then, read Corinda and treasure it. It's the one primer that you need, not Modern Mentalism.